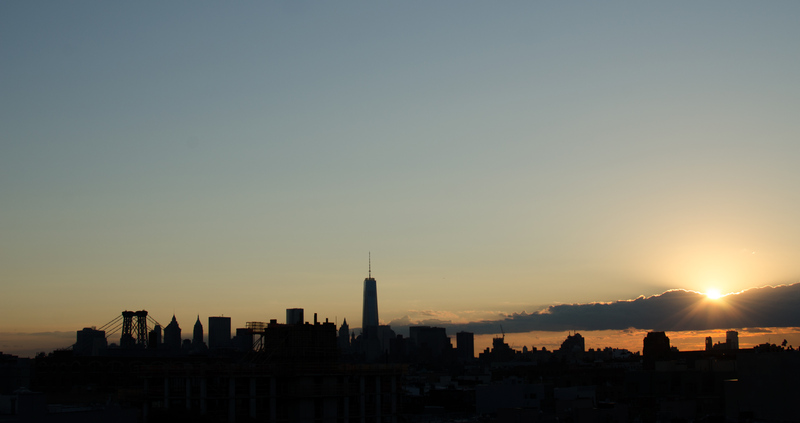 Our 13th weekend ended Sunday night on a rooftop in Brooklyn, watching the sun set behind Manhattan. A fine moment. In years past it would have spawned paragraphs of soaring prose about the company of good friends, the vibrance of adult conversation, the quality of the light, and the coolness of the breeze when it was all over. This year, that story doesn’t feel like the one to tell. Instead of the wide angles, it’s the narrow and mundane that resonates now. Like on Saturday night, when Kermit, Charlotte, and Maggie watched the new Muppets movie all spooned up on the couch and the blue light of the screen flickered on their faces just so. Or Sunday, while our bus waited at a red light and Charlotte and I lunged to the window to gawk at a toy store, calling out the toys we wanted before the light turned. Or last night, walking back in the dark from movie night at the Botanic Garden: Charlotte, reserves exhausted, put her head on my shoulder and I carried her home. 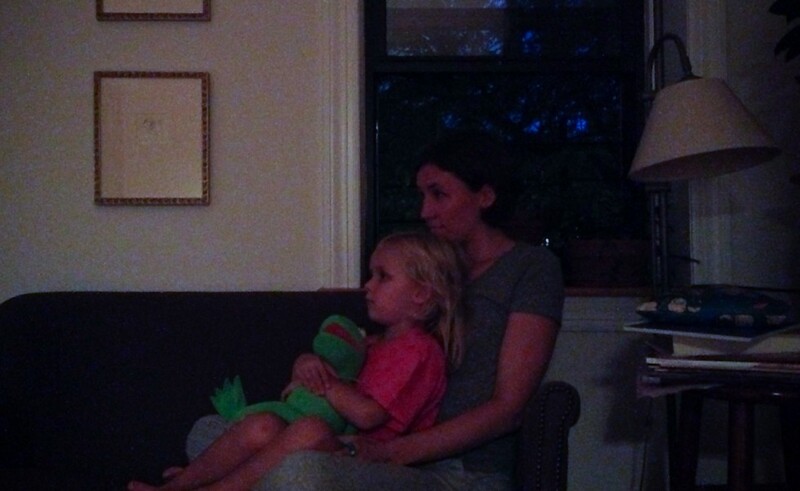 Perhaps the resonance is a result of living these moments twice, once as a 4-year-old and now with Charlotte. I remember staying up to watch the rented movies and I remember the joy of the ball rack at Target. I remember being awake after bedtime, looking at the weird dark world before I gave in and fell asleep in Mom’s lap. I see Charlotte in these moments and I feel insignificant, simply the latest carrier of a common experience that spans generations. For this reason, there’s a real sadness to contend with these days. The moments are so brief and I worry they may not re-appear for a generation. At the same time, living life twice triggers intense flashes of euphoria, like nothing before. It feels both crazy and absolutely essential to record. Lately, living between these two extremes, I’m of the mind that something fundamental has changed. It’s hard to pinpoint what it is exactly, but I have evidence: the sun used to take hours to set and now it’s down in seconds. Matt … There is nothing in the universe MORE significant than being ‘the latest carrier of a common experience that spans generations’. Congrats on all the new changes, Alan. I too reeviecd a Batman jump drive recently. Those things are pretty darn cool. Good luck with the new gig. Once those boys reach 4, I expect them in our ski school.